Even though the days are already starting to grow shorter and you may have experienced a few cool evenings, summer isn’t over yet! There still will be plenty of days left this year where you want to cool off in your car. 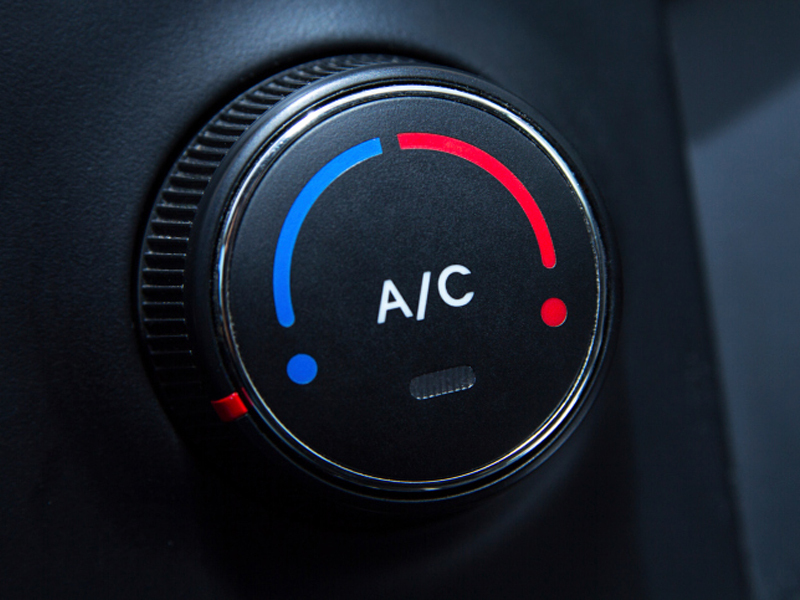 Even in cooler weather, it is still important to keep your air conditioning working properly in your car. Besides keeping your vehicle’s cabin cool, the air conditioning system in your car also helps dry the air in your car helping to defog the windows in the cooler, rainier months of winter. This time of the year it can be tempting to simply leave your broken or underperforming air conditioning system the way it is and hope the weather cools off soon. We believe that it is important for you safety and comfort to keep your air conditioning system working properly all year round so in this article we’re going to help you find out why your air conditioner is not cooling properly. All air conditioning systems work on the same basic principle that if you compress and cool the proper refrigerant, then allow it to expand again, it will get very cold. This principle is true in your freezer, refrigerator, your home’s air conditioning system and your car. Most cars today use the refrigerant R-134a which requires certain operating temperatures and pressures to cool correctly so most air conditioning systems work the same no matter what make or model car they are in. It is these specific pressures and temperatures that usually cause your air conditioner to stop cooling and be less efficient. If your system’s compressor isn’t able to create a high enough pressure in the system then the refrigerant will not properly cool when it is allowed to expand through the expansion valve or orifice tube. Also, if there is a clog or block in your system the high-pressure refrigerant may be allowed to slowly decompress through the clog which won’t create the proper cooling effect. To prove that either of these problems exist in your system, you would need a set of mechanics gauges to measure the pressures around your system. Depending on how high the pressure is after the compressor and where it drops in the system will tell you if your compressor is worn out and needs to be replaced or if there is a clog. In either case, your only option is to replace the broken compressor or clogged component to get your air conditioner working properly again. Another common cause for your air conditioner not cooling is actually having too low of a pressure in your system before your compressor. Without enough pressure before the compressor, the compressor will work too hard to raise the pressure in the system and won’t be as efficient. In many cases, this is the problem simply because the refrigerant in the system has been allowed to escape. Cooling systems in homes or refrigerators can often last for many years because they are mounted inside away from the elements and rarely are exposed to movement or vibrations. On the other hand, your car’s air conditioner is exposed to the extreme heat of your engine, road debris, dirt, vibrations, quick stops and even the occasional run-in with a curb. All this stress can allow small cracks to form in components or connections to slowly work their way loose leaving tiny spaces for the refrigerant to sneak out. Most of these cracks or leaks are much too small to see with the naked eye so they can be very difficult to pinpoint. If you suspect this could be the reason why for the lack of cool air from your vehicle’s air conditioner, you can quickly and easily solve the problem with BlueDevil Red Angel A/C Stop Leak. BlueDevil Red Angel A/C Stop Leak is a chemical sealant that you can simply add to your system using our aerosol can and supplied coupling. Once in your system, BlueDevil Red Angel A/C Stop Leak will seal all the tiny cracks and leaks so your system is leak tight. Then you can top it off with R-134a to bring the low-side pressure back up to where your compressor can function properly and keep you cool! Which Automatic Transmission Fluid Should I use? — Does Fuel Injector Cleaner Work?